Industrial building comprised of 7,860 sf comprised of 6,000 sq ft of warehouse and 1,860 square feet of finished office space. Four (4) x 16’ h X 14’ w overhead doors. One (1) 16’ h X 12’ w overhead door. NOTE: Dome building not included in lease. Situated on the southerly side of Paddys Hill Drive and the newly developed area of the park, the high topography and well-maintained lot sets this property apart from the existing structures. 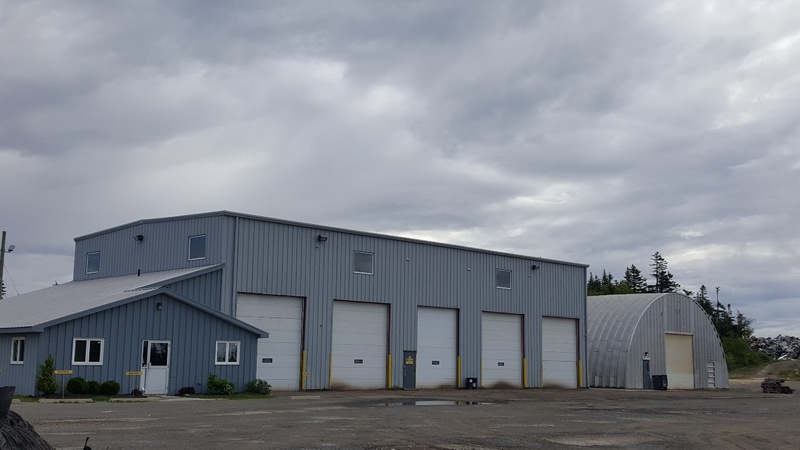 Suited to an industrial single-use tenant seeking grade level access, exterior storage areas and the potential for fenced compounds. The lease shall be a net lease to landlord, with the landlord only responsible for repairs of a capital or structural nature. The tenant is responsible for all operating costs including building insurance, utilities, property taxes, heating and cooling costs, repairs and maintenance, and taxes. *Based on parent property assessment. The taxes have not been adjusted in consideration of the smaller hypothetical proportion of lot. If subdivided taxes are pressumed to be lower on the basis of area.